atomic weapon, which was a powerful weapon no other nation had. The U.S. also started building up its nation’s armory, as the Vietnam War began shortly after the end of WWII. Russia, which was a global enemy to the U.S. at the time, thus decided to build up their own armory and create nuclear weapons in order to combat the U.S. Russia and the U.S. were pitted against each other in an arms race, both trying to proliferate its nuclear armory and enlarge its stockpile of weapons. This arms race led to the creation of the concept of Mutually Assured Destruction, which stated that if one country used its nuclear weapon, then the other country would retaliate with its own nuclear weapon, which would destroy both countries. However, the nuclear proliferation problem became much more of a fear for Americans, as “It (the nuclear proliferation) (made) the superpower arms race look like a comparatively minor league problem,”. Once the U.S. and Russia became equal in terms of weaponry, a race for technological supremacy started. In the U.S., Reagan began his campaign to create his Strategic Defense System, also commonly known as Star Wars. Regan believed his Star Wars defense system would “give us (Americans) the means of rendering these nuclear weapons impotent and obsolete,” which would allow, “the nation (to) be defensed without earthly sacrifice and bloodshed,”. The concept of the Star Wars defense strategy was that the U.S. would launch a satellite into orbit that would detect and destroy any missiles that were fired. However, the building up of nuclear weapons and the high tensions lessened once Mikhail Gorbachev was elected as the Leader of the Soviet Union. Gorbachev came into power into a weak Soviet economy that was spending a lot of money in the arms race and technological supremacy race with the U.S. Thus, he implemented democratic policies, glasnost and perestroika, in the Soviet Union to help repay war debts. Gorbachev also began discussing new foreign policies, such as reducing the amount of missiles each nation had, with the Reagan and developed a friendly relationship with Reagan. However, domestically, Gorbachev began losing power in the Soviet Union due to the large amounts of debt the country still faced and because of his new democratic policies. Countries began to leave the Soviet Union without much resistance, which led to the collapse of the Soviet Union and the Communist party being ousted out of Russia in the early 1990’s. The dissolution of the Soviet Union led to the end of the Cold War. Cold War fears and themes became common in the lives of Americans, as the Cold War raged on for over 40 years. One man in particular became heavily interested in the Cold War and was able to portray his passion for the War through novels. This man is Tom Clancy, an insurance broker turned into an author of war literature. Tom Clancy’s first novel came out in 1984 and it was titled “The Hunt for Red October,” which followed the story of a Russian submarine trying to defect to the United States, and the United State’s effort into deciphering if the submarine was actually trying to defect or if it was planning a nuclear attack. Clancy’s ability to create realistic military scenes earned him respect within the United State’s military, and landed him on the New York Times best-seller list. Another reason why Clancy became very popular during the Cold War was that Clancy was very patriotic and added many elements of American Exceptionalism in his novels, which helped remind the reader that, even during the stressful times of the Cold War, America was still the best country in the world. His patriotism was also believed to have fought off Commuism, as “the best antidote to Communism is vigorous, intelligent, old-fashioned Americanism with eternal vigilance,”. Even President Reagan praised “The Hunt for Red October,” as he proclaimed after the books release that it was “his favorite beside read,”. Due to its popularity, Clancy’s The Hunt for Red October soon began to be in production for a movie starting in 1985. The movie based off of the novel later came out in 1990, during the period when Cold War tensions were boiling down. Although the movie came out in 1990, the storyline of the movie was set in 1984, and portrayed many Cold War themes that were a large during the high-tension periods of the Cold War. The Hunt for Red October film was also able to show the positive possibilities that are a result of the Russians and U.S. working together. “The Hunt for Red October” was able to portray Cold War facts, fears, and ideologies, such as the race for technological supremacy and its negative effects, the idea that Communists cannot be trusted, the concept of American Exceptionalism, and the rising tensions and unhappiness within the USSR which eventually lead to the implosion of the Communist party in Russia. During The Hunt for Red October, increased technology for weapons of war was shown as a conflict throughout the movie. The Russians had been trying to gain a technological edge over the U.S., and were able to with an amazing creation for subs that the U.S. could not figure out how to build for years. The Russians were able to create a silent jet propulsion system for the Red October submarine, which meant that the Red October could travel at high speeds and be undetected by any sonar, as the sonar would only pick up on whale noises. The reason that the Russians built the silent jet propulsion system was because they wanted to sneak up on the U.S. and unleash nuclear missiles, which would have destroyed the U.S. and won the war for Russia. The British intelligence agency was able to obtain an image of the Russian sub before it left Russian waters and sent it to the U.S. At the time, the U.S. did not know what the silent propulsion jets on the submarine were. In fact, they believed the jets were some kind of door at first. However, after debate and conversations with experts in submarines, the U.S. came to the conclusion that the “doors” were in fact silent propulsion jets. Mass hysteria broke out in the U.S. council room, as many high-ranking officers were terrified at the fact that Russia could hold nuclear warheads right off of the U.S. coast and be undetected. By having the silent propulsion jets, Russia was able to have technological supremacy over the U.S., which brought the world power to Russia, as they had the means to attack the U.S. at any given moment. However, Russia did not hold the technological advantage for long, as the U.S was able to learn that the silent propulsion jets made an earthquake noise on the sonar, which effectively ended Russia’s technological supremacy over the U.S. However, the U.S. still wanted to obtain the Red October submarine so that they could finally learn how to build a silent propulsion jets, as American engineers had been struggling with that concept for many years. The race for technological superiority almost led to Mutually Assured Destruction in the movie, and this same idea occurred during the actual Cold War, as both the U.S. and Russia were trying to increase their arms arsenal and better their technology in case of a hot war. The Hunt for Red October also portrayed the fact that the increasing of technology and the race to increase arms led to unnecessary casualties that would occur if the Cold War turned into a hot war. Towards the end of the movie, after Russia learns of Ramius’ plan to defect to the U.S. with the Red October submarine, Russia sends the rest of its submarine fleet to find and kill the Red October. Before Russia is able to find it, crewmembers of the USS Dallas go aboard the Red October and confirm Ramius’ plans to defect. Shortly after the U.S. personnel board the Red October, a Russian submarine is able to pick up a signal of the Red October and fires auto-lock missiles at it. The missiles do not explode, as the Russian submarine is too close to the Red October for the missile to engage its target. The head of the Russian sub then made his crew fire more missiles without the auto-lock, so that the missile could be engaged immediately. However, this strategy by the Russian sub backfired, as the Red October was able to maneuver the missile, and the missile ended up hitting the Russian sub and exploding it. As the Russians realized that their own missile was about to hit them, a high-ranking Russian official yelled at the captain, “You fool! You killed us all!” The scene of the Russians sinking their own ship with a technologically advanced missile symbolizes the idea that, when used, the advanced weapons that were created during the Cold War would lead to unnecessary deaths that would have not occurred if the Cold War remained a non-fighting war. This was meant to be a clear message to both countries to not use any weapons against each other, as during the 1980’s, as many people, especially Americans, “fear(ed) that their leaders (were) more comfortable than ever before with the thought of using nuclear weapons,”. Another common Cold War theme that was portrayed throughout The Hunt for Red October was the idea that Communists were deceitful humans who could not be trusted. This lack of trust occurred amongst Americans and Communists, and with Communists lacking trust in other Communists. A prime example in the movie about the deceitfulness of Communists is the ambassador of Russia that resides in the U.S. The ambassador begins to fabricate a story as to how the Russian submarine fleet lost one of their submarines, The Red October, and started to ask the U.S. to help them on a rescue mission to find the supposedly missing submarine. The ambassador knew that the Red October was trying to defect, but failed to inform the U.S. about that. He also lied about the rescue mission, as the Russian fleet had direct orders to find and kill the Red October, not rescue it. The ambassador, who is a high-ranking Russian official who is supposed to be a foreign diplomat and represent his country, proves to be a habitual liar, showing that all Communists can be seen as liars, as the high-ranking officials cannot be trusted. There was also a lot of mistrust amongst Communists within Russia, evident by the fact that a GRU agent, which is the equivalent of an American CIA agent, was placed aboard the Red October submarine. Ramius was a well-respected captain of submarines, and the admiral of the fleet was shocked when he heard Ramius was defecting, showing that Ramius had never given the government a reason to not trust him. However, the government still felt as if they needed to plant a secret service agent on the submarine, in case any unexpected item, such as defecting, occurred, as there is a general lack of trust between Communists. By portraying Communists in an extremely negative way, The Hunt for Red October was also able to expand on the concept of American Exceptionalism. American Exceptionalism is the idea that America was the ideal living place for everyone due to the freedom, democracy, and economic prosperity that came along with being an American. This concept is introduced to the viewers early on in the film, as the Russian officials aboard the Red October submarine suddenly switch over from Russian to English when speaking. For the rest of the movie, all of the Russian officials spoke in English and dialogue in Russian was kept to a minimum. The filmmakers chose to make the Russian officials speak English in order to show that many of them would much rather be a part of American culture rather than Russian culture. The officials stopped speaking in their native language and started to speak in the language of a culture they all wanted to be a part of, which was the American culture. Later in the movie, Ramius had a conversation with Captain Vasili Borodin, one of his high-ranking officials. Captain Borodin began to ask Ramius about America and told Ramius of his American dream. Captain Borodin dreamt of living in Montana and Arizona, having two wives, raising rabbits, owning a pick-up truck and recreational vehicle, and is also pleasantly shocked when he learned that he would not need papers to drive state to state. In fact, when the Russians were pulling up to the shore of the U.S., Jack Ryan turns to Ramius and says, “Welcome to the New World,” playing off the naming of America as the New World when Christopher Columbus stumbled upon it. The New World creates a picture of a profitable land where one can start fresh, free of communism and full of happiness, which is what all of the Russians desire. Also, by allowing their sworn enemies into the “New World”, the U.S. is showing that they are willing to begin a new beginning and enjoy prosperity with Russia. Ramius and Borodin both have an American dream of such simple freedoms that it shows the burning desire both Russians have to live an American lifestyle, and both risk their lives in order to attain their American dream. Everyday freedoms that many Americans take for granted can be some of the main driving forces behind one’s desire to defect to America, thus affirming the concept of American Exceptionalism. Also, since the movie was released during the end of the Cold War, the film also portrayed snippets of scenes that exemplify the mending of U.S and Russian relationships, and the benefits that result from the two nations working together. The U.S. accepted Ramius and his officials to officially live in the U.S., showing that the U.S. was open to let some Russians into its country. Furthermore, when members of the U.S. navy were aboard the Red October with Ramius and his officials, both parties had to work together to escape multiple missiles fired at them by another Russian sub. By working together, the Red October and the members aboard were able to escape the battle unscathed, showing that when the two countries are a combined force and working together, then their power outmatches any other nation’s power. The Hunt for Red October was able to play off of the emotions and hopes of Americans during the Cold War. Fears of nuclear attacks and the end result of the technological supremacy race were coupled with the hope for a brighter future between the U.S. and Russia, and the possibilities that could result from a partnership between the two world superpowers. The film was also able to portray stereotypes, such as the belief that Communists were deceitful and could not be trusted, and the idea of American Exceptionalism. 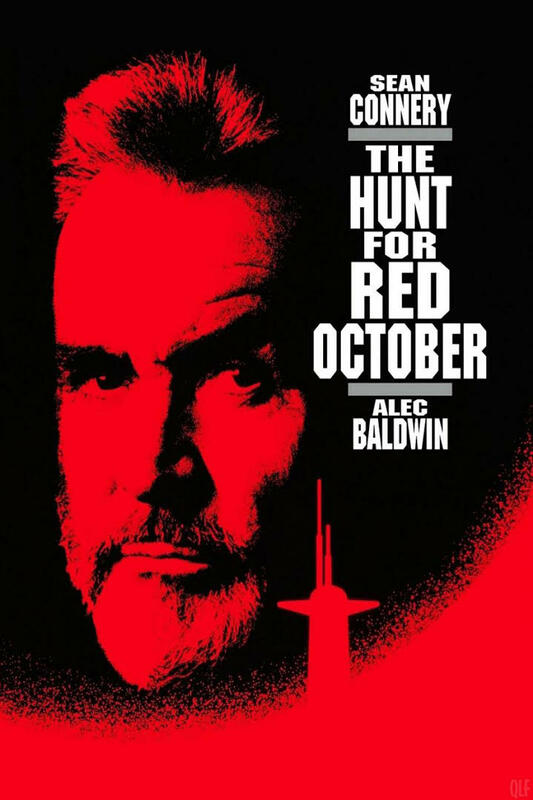 Due to its wide array of relevant messages and themes, The Hunt for Red October became an influential novel and then movie during the latter part of the Cold War. 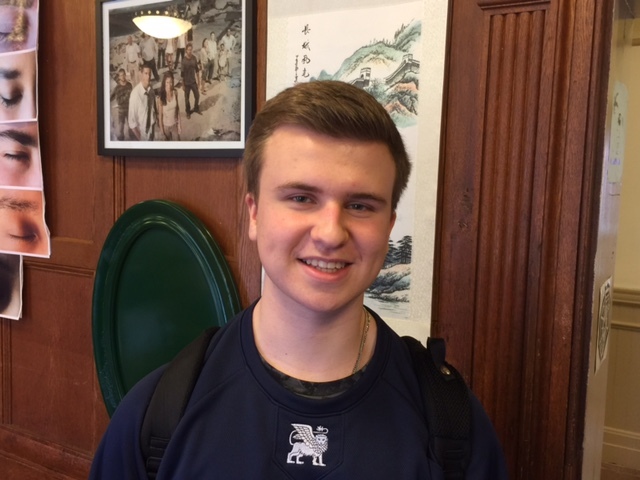 Conor Brockway is a VI Form day student from Sudbury, Massachusetts. He plays baseball and enjoys history and science. Barson, Michael, and Steven Heller. Red Scared! The Coming Menace in Propaganda and Popular Culture. San Francisco: Chronicle Books, n.d.
“Biography: Mikhail Gorbachev.” PBS. http://www.pbs.org/wgbh/americanexperience/features/biography/reagan-gorbachev. “Cold War Timeline: The End of the Cold War.” National Museum of American History. http://americanhistory.si.edu/subs/history/timeline/end/. “The End of the Cold War.” U.S. History. http://www.ushistory.org/us/59e.asp. The Hunt for Red October. IMDb. http://www.imdb.com/title/tt0099810/. Lipset, Seymour Martin. “American Exceptionalism a Double Edged Sword.” Washington Post. http://www.washingtonpost.com/wp-srv/style/longterm/books/chap1/americanexceptionalism.htm. “Reagan for the Defense.” Time Magazine, April 4, 1983, 9. “Thinking about the Unthinkable.” Time Magazine, March 29, 1982, 12. “Tom Clancy Biography.” Biography.com. http://www.biography.com/people/tom-clancy-9542178#synopsis. “United States History: Timeline: Cold War.” University of Washington. http://faculty.washington.edu/qtaylor/a_us_history/cold_war_timeline.htm. “Who Has the Bomb.” Time Magazine, June 3, 1985, 37. Seymour Martin Lipset, “American Exceptionalism a Double Edged Sword,” Washington Post, http://www.washingtonpost.com/wp-srv/style/longterm/books/chap1/americanexceptionalism.htm. “Who Has the Bomb,” Time Magazine, June 3, 1985, 37. “Reagan for the Defense,” Time Magazine, April 4, 1983, 9. “Biography: Mikhail Gorbachev,” PBS, http://www.pbs.org/wgbh/americanexperience/features/biography/reagan-gorbachev. “The End of the Cold War,” U.S. History, http://www.ushistory.org/us/59e.asp. “Tom Clancy Biography,” Biography.com, http://www.biography.com/people/tom-clancy-9542178#synopsis. 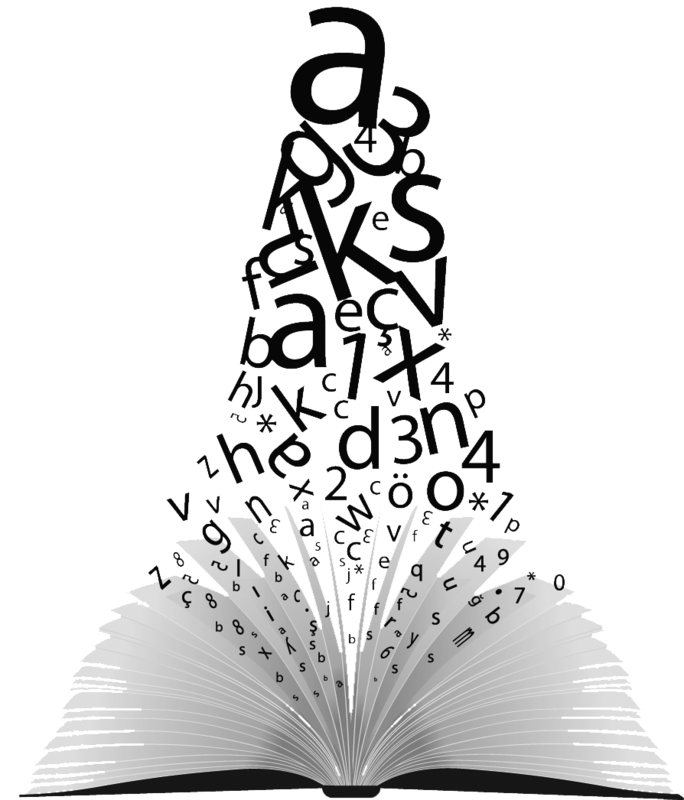 Michael Barson and Steven Heller, Red Scared! The Coming Menace in Propaganda and Popular Culture (San Francisco: Chronicle Books, n.d.), 155. “Thinking about the Unthinkable,” Time Magazine, March 29, 1982, 12.